In the late 1990s, iEARN worked with the Ministry of Education of the Palestinian Authority to bring schools in Gaza and West Bank on-line and into project work. In 2004, an independent iEARN-Palestine was created, based in Ramallah. This new teacher training center is working to expand Palestinian student and teacher participation in international online project work. The iEARN-Palestine team, together with the Excellence Center in Hebron, conducted their first face-to-face BRIDGE Program workshop on October 8, 2016 at the Batter Municipality and Library. 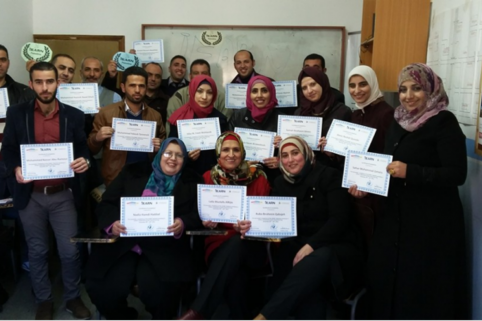 Fifteen new iEARN teachers from The workshop Hebron, North and South of Hebron, Bethlehem and Jerusalem attended the workshop and were trained by six experienced iEARN participants. iEARN-Palestine hosted an end of the year workshop for fifteen teachers on iEARN and project-based learning.